DJ Trayze battled at the Red Bull Thre3style 2015 US National Finals in Phoenix, AZ. This mix was recorded live on the third and final night of competition at The Pressroom on 4/4/15. 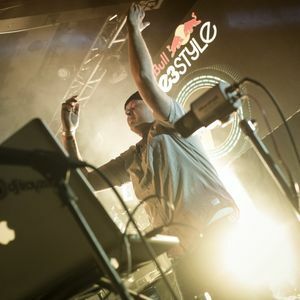 Red Bull Thre3style is a DJ contest that promises to be a night of dance- floor mayhem. The participants have to play a selection of at least three genres or styles of music in 15 minutes. It doesn&apos;t matter what genres of music are chosen so long as the DJ can make them work together. Can we get non-distorted versions of the finals ?